The global buzz and influencer relations brief is new for Kodak. NEW YORK: Kodak has hired John Doe Communications to handle global buzz and influencer relations, with a focus on Millennial engagement. "John Doe offers a new way of thinking and a fresh approach to an audience we should be more proactive in speaking to," said Dany Atkins, Kodak's global director of brand identity, in a statement. "Social media culture is led by visual narratives – this is an area where Kodak has always been a market leader and we plan to continue this." Atkins added in the statement that the firm is tasked with taking Kodak’s expertise "in science for creativity and put it to work for the world’s creators." While Kodak did not issue a formal RFP, the company did review several agencies for the assignment. Rana Reeves, founder of John Doe, said in a statement that the firm is excited to take Kodak’s messaging to the global creative community. "The stuff in the pipeline is game changing," added Reeves. Additional account information, such as contract length and budget, was not disclosed. In the second quarter this year, Kodak posted a net loss of $24 million, compared to a loss of $62 million in the same period in 2014. The company will report its Q3 earnings on Thursday. 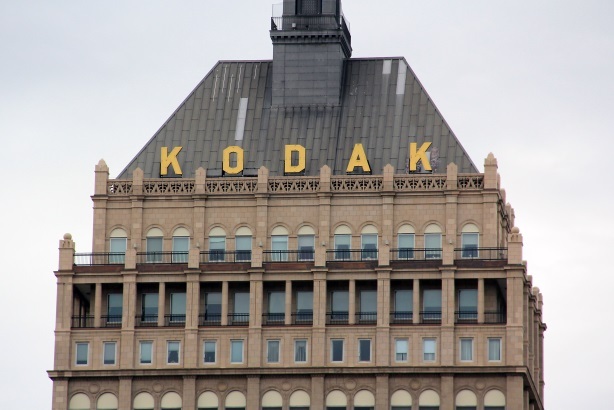 Two years ago, Kodak ended 20 months of Chapter 11 bankruptcy and returned to the New York Stock Exchange after receiving $1 billion in exit financing from J.P. Morgan, Bank of America, Merrill Lynch, and Barclays. Over the summer, fitness brand Equinox worked with John Doe on its #PoweredByPride social media and art initiative in support of the LGBTQA community and Pride Month in June.